Are Jennifer Aniston and Justin Theroux married? It’s official! 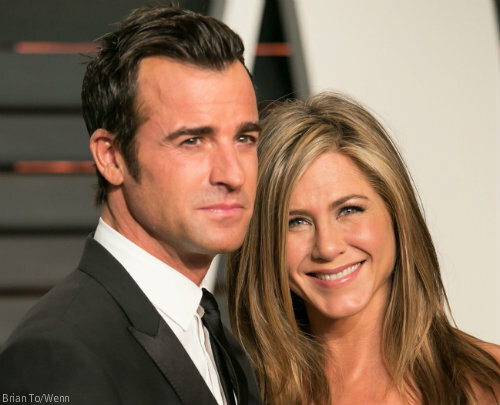 Multiple sources confirm that, after a long engagement, Jennifer Aniston and Justin Theroux are married. The couple got engaged approximately three years ago. Since then, there have been near-constant rumors about when and where they planned to tie the knot…but it seems they still managed to make the ceremony a surprise for friends, who believed they were just attending Justin’s birthday party at the couple’s Bel Air home on Wednesday night. TMZ was the first to report on the suspicious celebration, which included what appeared to be a wedding cake and a pastor. Jennifer and Justin also built a giant shed in their backyard–to hide all of the supplies they’d accumulated–and confiscated staffers’ phones. Jennifer Aniston & Justin Theroux – HUGE House Party That Smells Like a Wedding http://t.co/F6NMsfU0Wo What do you think the party was for? The list of (reportedly) unsuspecting guests included Howard Stern, Chelsea Handler, Sia, Lisa Kudrow, Ellen DeGeneres and John Krasinski. Michelle Bombshell McGee wedding photos!